1.) absorbing or controlling possession of the mind by any interest or pursuit; lively interest: He shows marked enthusiasm for his studies. 2.) an occupation, activity, or pursuit in which such interest is shown: Fishing is his latest enthusiasm. Is there enthusiasm among your Grange members? Does your Grange need a boost? It is proven that productivity is linked to happiness and good morale. In the Grange, that productivity could mean new projects, better programs, more community service, new members, and ultimately Grange growth. The more often members are enthusiastic about their Grange, and share that enthusiasm with their friends, family and even strangers, the enthusiasm then becomes contagious, spreading like wildfire, thus generating interest in that Grange. • Appreciating what you have. The Grange is the sum of all its parts -- location, people, history, music, projects, service, programming, events and activities, etc. When members have an appreciation for all that the Grange offers, they also have an appreciation for the organization as a whole. • Promote the positive. 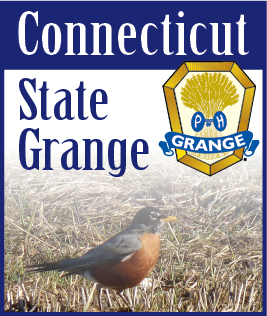 Members with a good outlook about their Grange will speak positively about the organization. They will tell others about the latest Grange projects and events, or the details that happened at the last meeting. They get excited about Grange, and want to share their excitement and enthusiasm. It’s infectious. When one member has a positive experience and is excited, others will soon be excited and enthusiastic too. • Let your imagination flow. It’s true that photos can speak 1000 words. Use photos to get people talking your Grange. Does your Grange has a Facebook page? If so, this tip is especially useful for you! Having a potluck dinner? Take a low, long shot of the table of food, or a close-up of beautiful looking casserole. Having a meeting? Take photos of a member setting up the hall with the regalia, the flag waiting for service, or a close-up of the Sash on the station ready for the officer to arrive. Trying to rent your hall? Use different angles to accentuate the best aspects of the space. Photos, as well as videos and graphics, can fire-up enthusiasm and inspire the imagination. • Have fun. People love to enjoy themselves, it’s part of human nature. A smile and a laugh leave a lasting impression. Think outside the box for ways to make your Grange fun - from games as part of the program to activities that are outside the norm, such as field trips and mystery rides. Making Grange fun, and showing that you know how to have fun, are two important components of generating enthusiasm and positivity among your Grange members. Experience Grange as a positive opportunity and then share that with others. That building of contagious enthusiasm will flow throughout your members, family and friends, opening doors for future Grange growth.